What style should I choose? 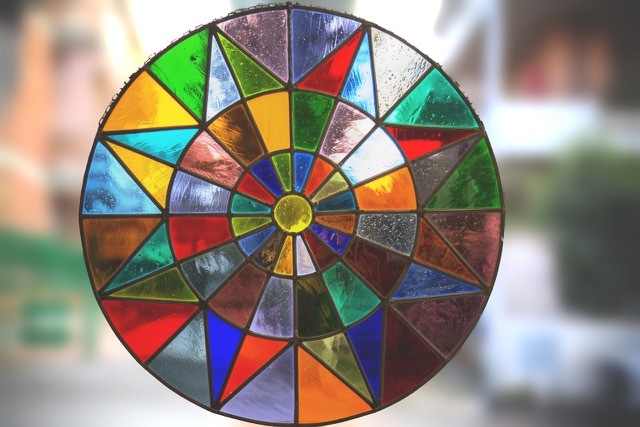 A stained glass window brings light, colour and beatuy into any environment. Everyone of our items is unique, created alongside the client in line with their taste and needs. A lamp placed in the right place, a lovely frame for the picture of a loved one, a subtle wall light which guides us to our bed; the mirror in which we glance for the final check up before we go out: these are all objects that give life and warmth to our home. Our courses are open all year round and are based on your individual project. 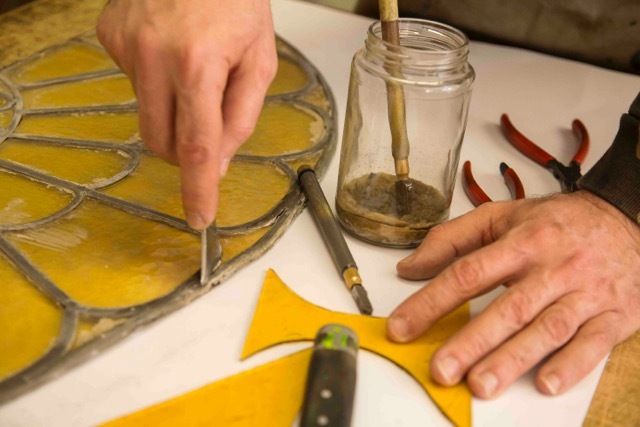 You can learn the techniques of stained glass window making, glass fusing, mosaic, glass frit and decoration. 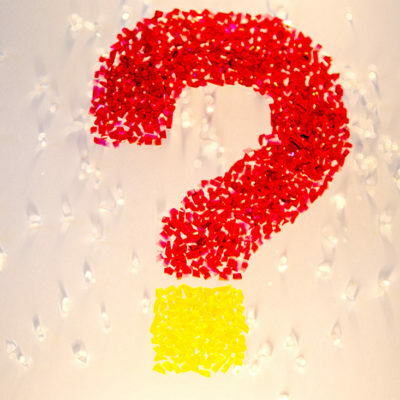 Come with a project you want to make or follow our classes step by step. 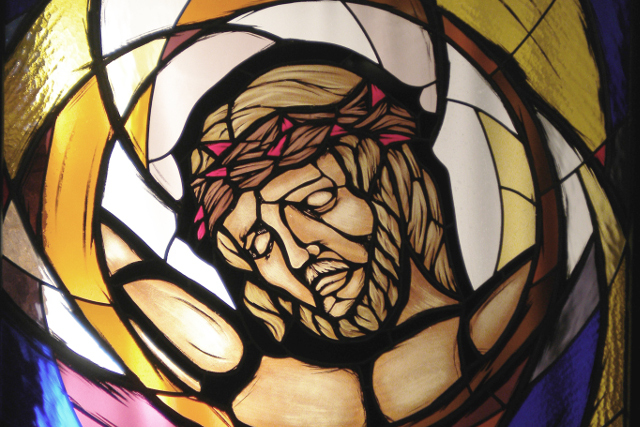 For centuries, in Mediterranean countries, stained glass windows have been particularly associated with religious art. Studio Caleidos has supplied stained glass windows with religious themes to many churches chapels and schools both in Italy and abroad. 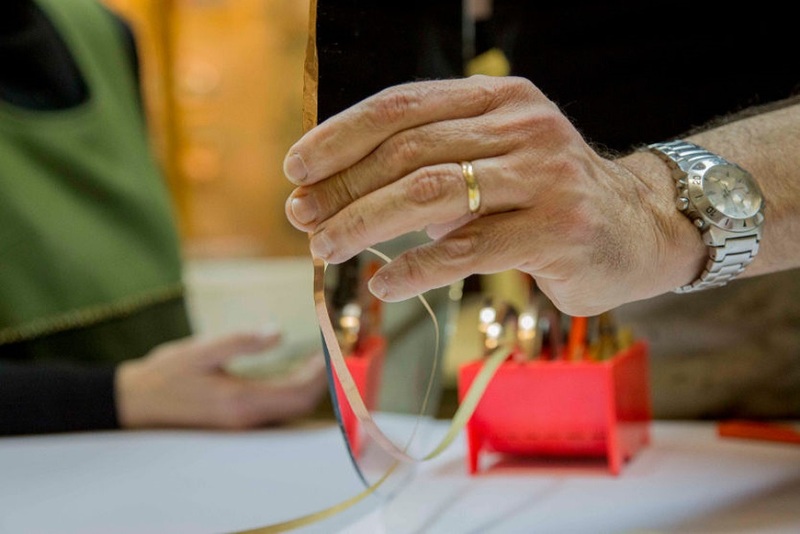 We are specialized in restoring glass panels and objets d’art respecting fully the traditions of antique restoration and, where necessary, replacing any missing pieces. Modern? Antique? A classic Tiffany? Abstract? Geometric? Flowery? 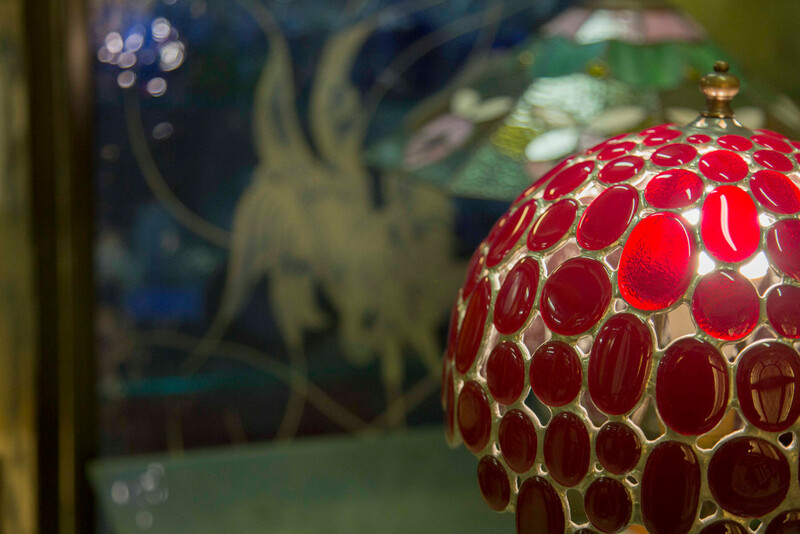 The style for an item to be created using glass will depend on the client’s taste as well as the environment in which the object will be placed and the amount of light available. I didn’t know whether or not to go on the mosaic course. I had a go and realized it was just the thing for me! Sometimes work is hard and I get exhausted. But then I turn around and see the light shining through the many colours of the stained glass window and I feel strong and happy again. I didn’t know what do do with that ugly window and now it’s the best bit of my house! The warm and welcoming atmosphere at Caleidos always puts me in a good mood. I walk past my stained glass window everyday and I see the changing colours and light depending on what time of day it is. It’s my “kaleidoscopic clock”! I started three years ago. I wanted to make a lamp matching the colours of our sofa. I’m now making little gifts for the guests of my son’s wedding!